Novus celebrates its 20th anniversary and inaugurates a new Research Center in Reus, Spain. On Oct 18 and 19th, Novus International, Inc. will host in Tarragona (Spain) more than 100 leaders in the feed and food sectors from more than 30 countries, for the celebration of Novus’s 20th Anniversary in the region of Europe, Middle East and Africa. 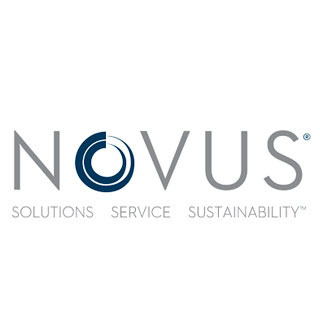 Customers, partners and friends of Novus will gather together to enjoy a Celebration Ceremony, as well as the Inauguration of a state-of-the-art Novus Research Center of Excellence in Reus (Spain), followed by a Scientific Symposium focused on ‘Innovation with Integrity’. Mr. Kohei Taguchi, Novus Director, Mitsui & Co., Ltd.
Thad Simons, President and CEO, Novus International, Inc.
Gary Reznik, Head R&D Europe, Novus International, Inc.
Novus was founded in 1991, and today, has 850+ employees working in more than 100 countries, serving more than 3,000 customers worldwide. Novus has facilities including corporate offices, research and development laboratories, and manufacturing operations in more than 50 countries. Novus 20th Anniversary Celebrations were initiated earlier this year throughout the world, including India, China, USA, Brazil, Spain, Thailand and Australia. The intention of these celebrations is to demonstrate appreciation for the customers and partners who have supported Novus through the years and still do today. Since 1991, Novus has expanded significantly in Europe, Middle East and Africa in terms of sales offices, manufacturing, logistic warehouse and research facilities to reach now 175+ employees. Novus EMEA has its regional headquarters office based in Brussels.These teams are determined to pursue solutions meeting the local demands, in key market drivers such as animal performance, food quality, animal well-being and environmental sustainability. Novus’s culture is shaped by the spirit of innovation and discovery. In the context of our global society, science-based innovation is the key to feeding the world affordable, wholesome food in the future. As a cornerstone of this vision, Novus’s Global Research network includes 5 research facilities in Beijing, China; Ho Chi Minh City, Vietnam; Montgomery City, Missouri, USA; St. Charles, Missouri, USA; and most recently Reus, Spain; with a staff of more than 150 PhD. Nutritionists and Doctors of Veterinary Medicine. The state-of-the-art Research Center of Excellence established at Reus will be inaugurated during the 20th anniversary celebration. It will allow Novus to provide innovative solutions to its business partners, supporting their activities in close collaboration with the regional research institutes and industries. The Center employs a full-time staff of 10 top-notch Ph.D.- and M.S.-level scientists and is equipped with an extensive array of top quality lab equipment, analytical instrumentation and IT systems. It is organized into 4 product development areas of over 400+ sqm in total: feed technology, food technology, microbiology and process simulation. The development of feed and food novel solutions, especially natural ingredient-based products such as antioxidant, pigments, and essential oils with superior bio-efficacy. Process optimization and development of new sustainable technologies. Customer technological and scientific support.